The vast majority of people who love music and singing, often dream of doing so professionally. Some fantasize about being on a stage as they bring down the house with their songs. For those that dream of becoming a professional musician, and would like to start a band, it takes more than dreaming though. There are several things you need to know and do, if you want to put one together. These 10 tips for starting a band can really help. They will show you the steps you – and those you want in the band – need to follow. The harsh reality is that there are thousands of bands who play all across the country each night. They either play at clubs, gatherings or private parties. Sadly though, only a few of them actually get to record a record. Even worse, only a selected less will ever actually make it further than that. Still, that doesn’t mean you should give up on your dreams. Nothing good ever comes easy; especially if you want to be famous or make it big. For the most part, most bands start out in their parent’s garage. But in order to really make it, you have to get out of there and think bigger. These steps below can help you get started on finally putting together a great band. Although most people may have a few friends who they want to bring into their band, that will not always work. Not if you want to have a real shot at making it. To ensure that you get the best results, it is better for you to find the right people. While your friend may be cool, can he really play the guitar or sing well? Check out the classified ads or local music magazines to find people looking for a gig. You can even find websites which help you find other musicians just like you. There are several different types of music genre you and your band may want to do. From rock and roll, funk, R&B or punk rock, you have to choose what will define you. This will ultimately determine the direction you and your band will go into. Just keep in mind that some genres are more popular than others. If you don’t know how to write, this may be one of the most difficult parts for you. But, it is still one of the most important ones. In case you don’t enjoy writing, you may want to let someone else in the band who does, do it. Or you can do it together. In the end, you have to write and get some great music composed. Keep in mind that just because a person is the lead singer, it doesn’t mean he or she has to write the songs. Besides writing some great tunes, you also have to make great music. After all, the only way you are going to make it, is if your music is worth listening to. It is what will make your band, what it is. You may have to write some music that is more commercial or mainstream though. That will help you and your band get more recognition. 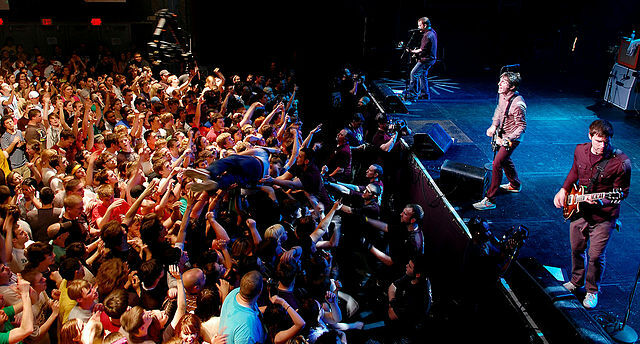 While some songs can be more of what you like, the others can be strictly for a mass audience. We have all heard the expression of ‘practice makes perfect.’ This is even more so when it comes to aspiring bands and artists. Working together and practicing, is the only way to get better at something. You will all have to find some time each day or week to practice. Remember, the more time you put into your practice, the better you will get. That will also increase the chances of success as well. An extra tip is to record your practice sessions. This will allow you to hear what you sound like. The only way to make sure you and your band are seen and heard, is by getting the word out about your group. If you are doing any types of gigs, you need to let people know. In fact, the more you invest in promoting yourself, the better your chances will be. While you won’t be able to afford a great promoter, you can do your own marketing for now. Design flyers, use social media and spread the word in school or work. Post flyers in places where people look for things related to music. Your band and you may have to hit the road in order to find gigs. That’s because you probably won’t find much work locally. Especially if you live in a small town. Besides, going to different bars will let you get views from different people. By finding gigs outside of your network, you will also get more confidence and attention. Whether you like it or not, every band has to have a face to it. In most cases, there will be one person who will become the face of the group. Whomever this person is, he or she will be the one most will know about. They will also be the reason people will come to see the band. Since the lead singer is usually the most recognized person in the group, they are typically the face of the band. But, you can also have a guitarist or someone else take the rein. If you are looking to make it big and get mainstream attention, you will need to work with others. A great tip is to get other musicians to work together with you on your upcoming music You can also work as an opening act for other bands or artists. Many great musicians out there got their big break by opening for someone else.